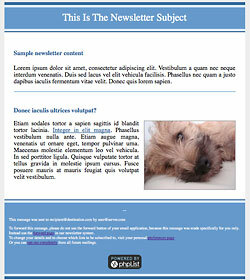 newsletter and email marketing software. 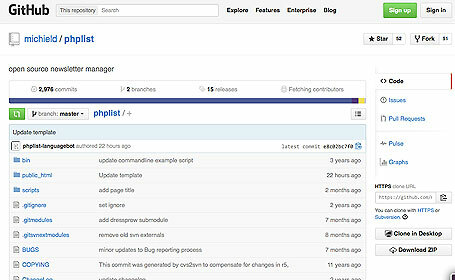 You benefit from phpList being Open Source. 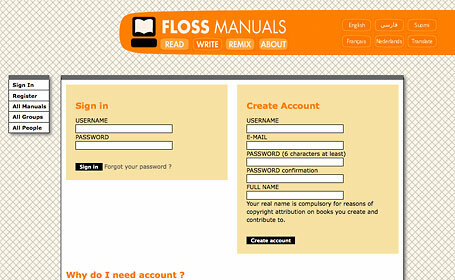 You have the freedom to flexibility customise your functionality. and you control your data. All the freedom and no vendor lock-in. today and get started right away. 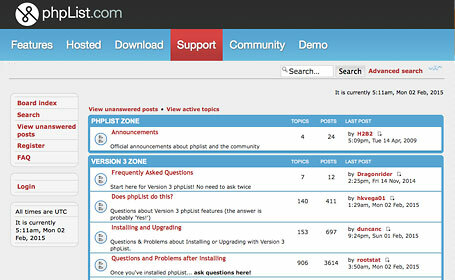 Choose phpList.com for a pre-configured, fully maintained installation. 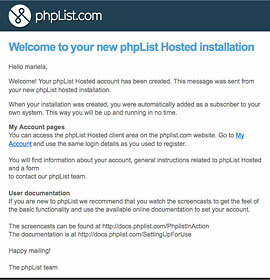 Host your own phpList installation and run it yourself. 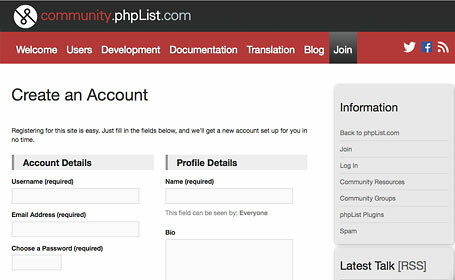 Hire a developer to create new features or customise phpList to your needs. You can manage an unlimited number of segmented lists with complex demographic dat. You can manage your phpList with multiple administrators, flexible permissions and a collaborative workflow. 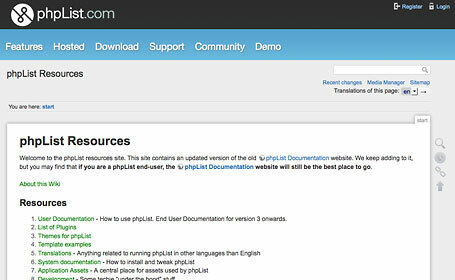 phpList can be used in 20+ languages, and subscribe pages can be internationalized too. 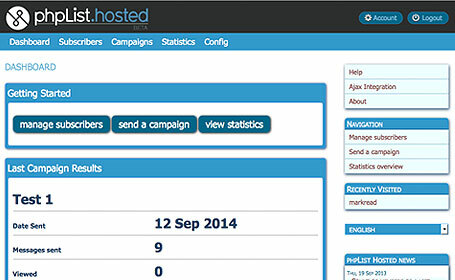 your data belongs to you and you can host your own phpList any time. No vendor lock-in, so you can keep sending whatever happens. if you run phpList on your own servers, you can still get paid support from the phpList developers whenever you need it. If you need to take a break from our services, we will keep your installation active. Clean lists and intelligent bounce processing. Freedom to decide exactly how you handle bounces. Define automated actions on receipt of bounce message delivery. 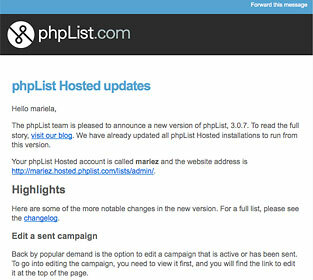 Email support for phpList.com customers from the core development team. 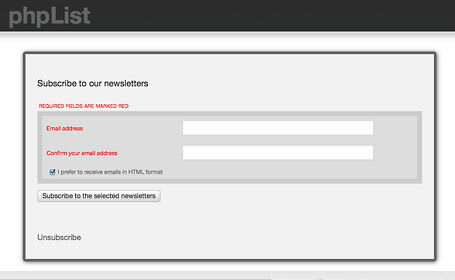 (*) See our Terms and Conditions for our anti-spam policy. Implement simple or advanced list segmentation, behavioural targeting and internationalisation. 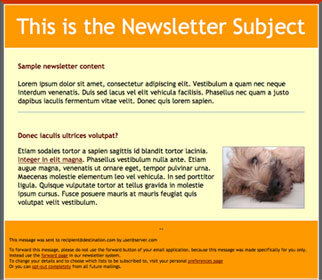 Inset images into messages, or include them as links. With phpList, the choice is yours. 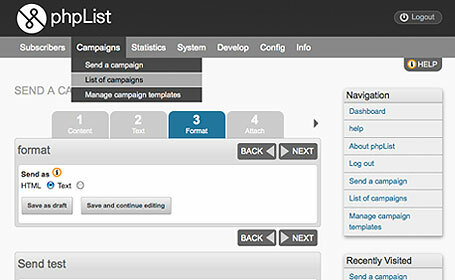 You can schedule your campaigns to send at just the right time - for you and for your subscribers. phpList.com will carry on sending even after you’ve shut down your computer. You can host a cron job locally or remotely, or use command-line sending if you need it. 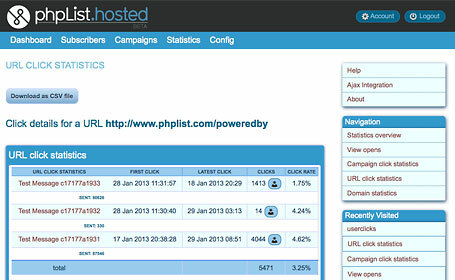 By installing phpList on your own servers you can protect your subscribers privacy. By utilising the inbuilt link-tracking you can protect your subscribers privacy. Our comprehensive export features mean that your data really belongs to you: you can change service or software providers freely and manage your data in a way that suits you.